Are you traveling a lot? And suddenly they have another outlet? Then you have to buy a different adapter each time? 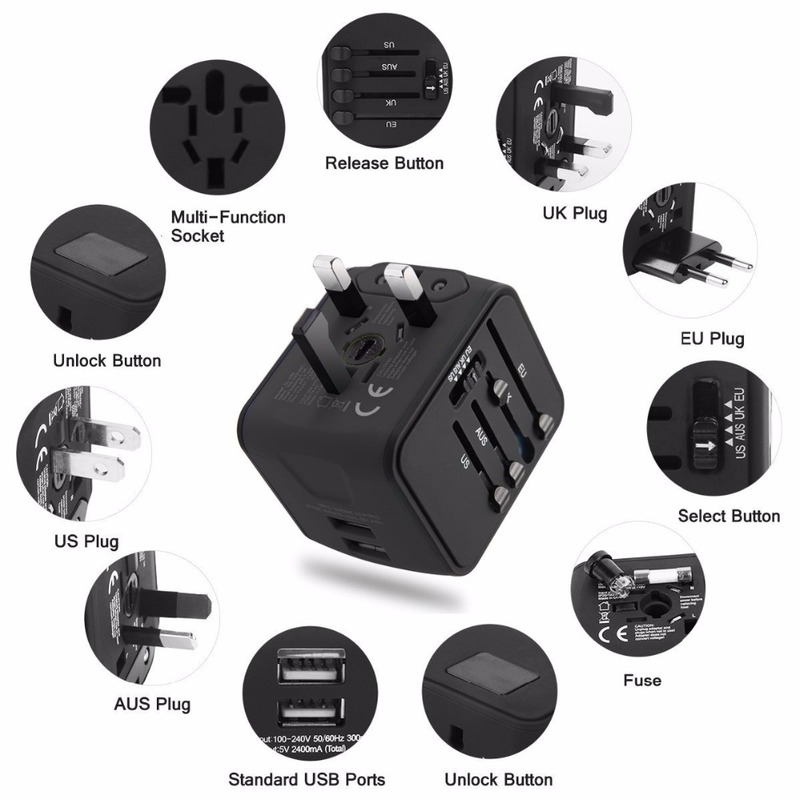 With our all-in-one adapter you are ready for any trip and can charge multiple devices in over 150+ countries. The ViralyGold Travel Adapter covers over 150 countries with US/EU/UK/AUS plugs and Powerful Dual USB Ports. It can be worked in Canada, Mexico, Brazil, Central America, South America, Europe, Asia, the Middle East and more. 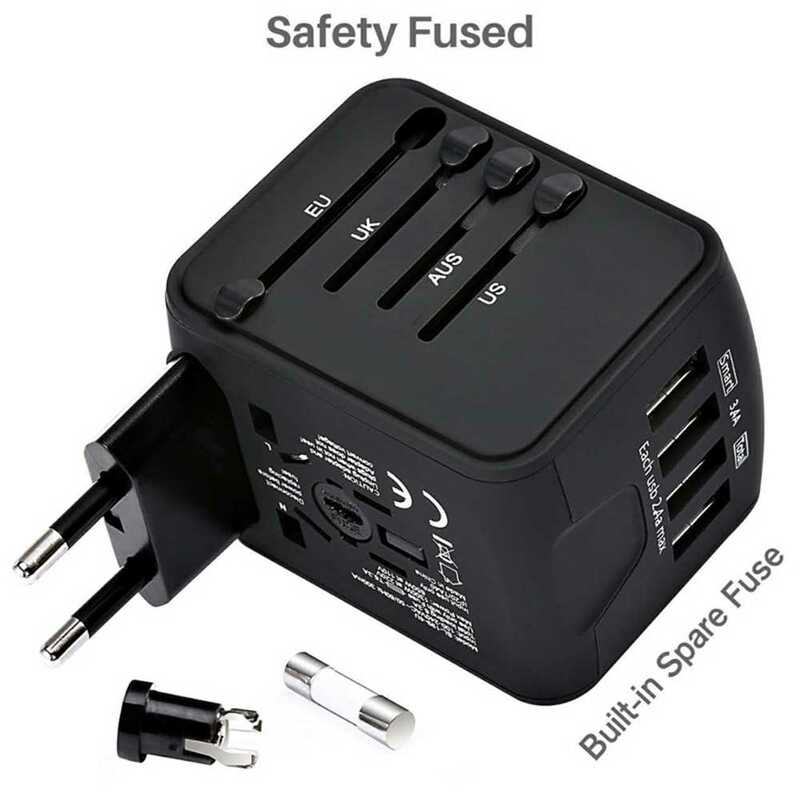 Certified and Safety: This ViralyGold travel adapter has FCC, CE and RoHS certified safety system with safety 6.3 Amp fuse ensures complete protection for you and your devices, Built-in safety shutters protect users from the direct touch of the live parts on the socket outlet. 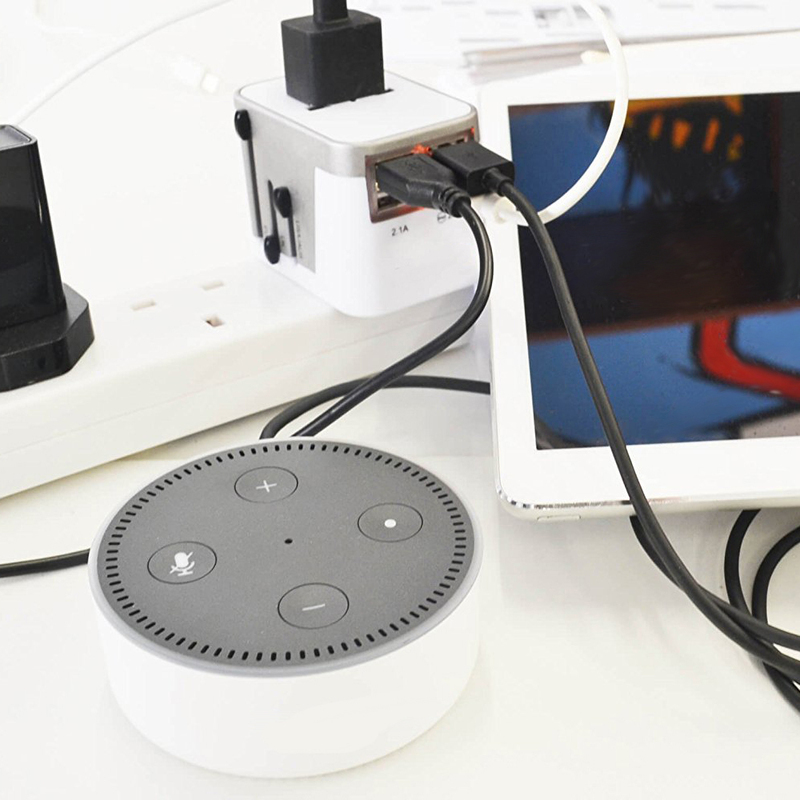 Smart 4 USB Ports: This universal charger is compatible with almost all USB Devices like Smart phones, Bluetooth speaker, digital cameras and more. Power Up faster without taking multiple chargers on vacation! Charge 4 Devices at the same time without any mess at all, very Easy to use. THIS is your best choice!